We all know that every patient is different. The drawing on the left shows that a patient with a larger jaw moves his/her lower jaw in a wider radius, when articulating. And, of course the opposite is true in the case with a patient that has a much smaller jaw ! Therefore any articulation movements would become arbitrary and guesswork. 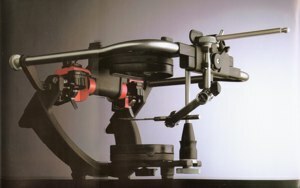 Now you can see, why it makes such a big difference as to where the model is placed in the articulator. In order to capture the exact relation of the upper jaw to the hinge-axis we need to take a face-bow! 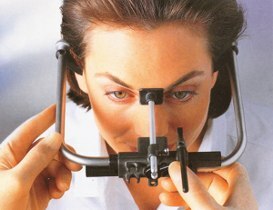 By the way, a KaVo Face-Bow, with its one screw tightening system is the easiest to use. Two minutes and it is done !